I always try to pretend that I don’t like lagers and pilsners. 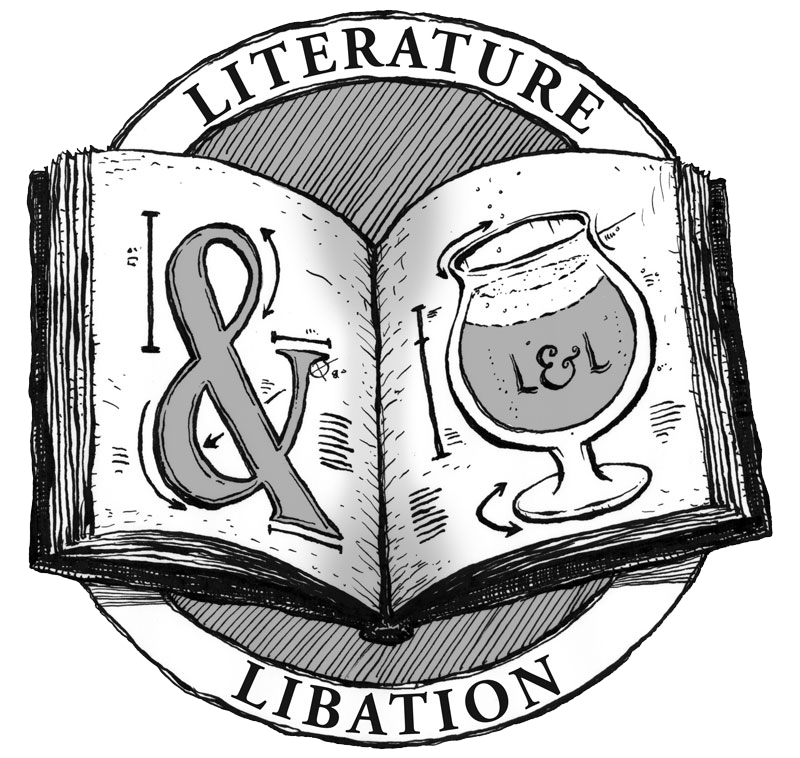 The purist in me wants to be an avid ale-only enthusiast, but I can’t deny my secret love for beers that are easier on my tongue and stomach. During the oppressively hot summer months, I’ve been known to drink an excessively large number of Yuenglings. You can’t barbecue with a Guiness, unless you’re really Irish. 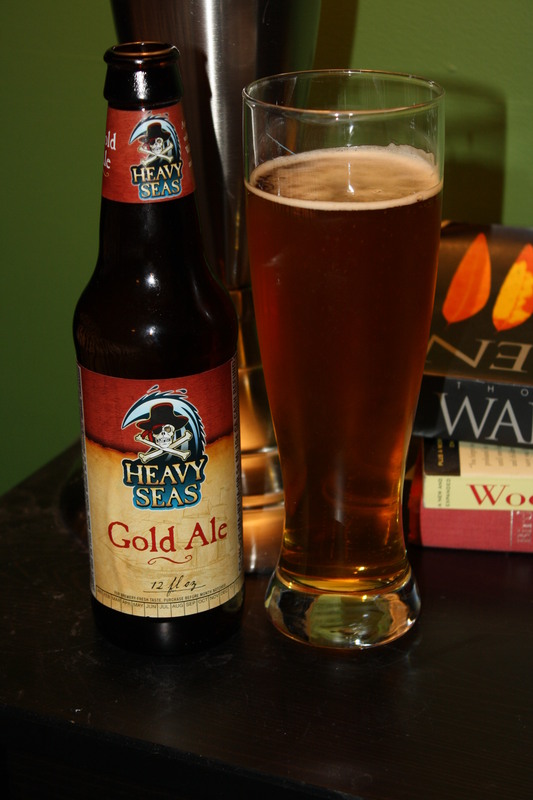 Heavy Seas Gold Ale is an American blonde ale in disguise. It looks, smells, and pours like a lager, but surprises you with a bold, no-nonsense taste. If you were given a glass of this in a blind taste test, you might find yourself thinking it’s a kölsch. Or perhaps a noble hopped pilsner. Or perhaps you’ll just be glad you’re drinking a very tasty beer. This is what I would call a “July 4th” beer. It’s light and smooth enough to be refreshing on a hot summer day, but packs enough punch at 4.5% ABV to prevent disgraceful chugging. It’s the kind of beer you’d be proud to share with your neighbors, and proud to hide from the cops when you smuggle it to the local fireworks display. It pours a semi-transparent golden color (shocker, I know) with minimal head that dissipates quickly. It smells like a generic lager or pilsner, with minor hoppy notes and a tiny hint of alcohol. It maintains a lot of carbonation even after warming to room temperature, making the initial mouth feel quite sharp, like an injection of flavor straight to your tongue. It’s what a Novocaine injection would feel like if your dentist was a pirate. The taste is impressive in its simplicity, but is similar to other beers in the category. It lacks the wheaty qualities of Belgian blondes, and might be indiscernible as an ale for someone who hasn’t tried many varieties. This is definitely the most Spring-worthy beer of the pack. It’s refreshing but not weak, making it far superior to any AB InBev Domestic commercially available. It blows Heineken and Stella Artois out of the water (pun intended?) in terms of satisfaction-per-sip. That being said, I’d probably go for something with a little more character as a staple Spring beer. I’d be hard pressed to choose this over Harpoon Rasberry UFO or even Sam Adams Alpine Spring, but as a part of a sampler, it’s a solid beer. This is a mighty fine "goin' to bed" beer. That's why I took this picture on my night stand. Next up: Smuttynose Old Brown Dog Ale! Great review! This is the first time that I have visited your site, but I will definitely be back! (Oh, and I’ll be sure to look for the Harpoon Raz at my local specialty shop!) Thanks again! Harpoon Rasberry is awesome. I fell in love with it during my first trip to Boston. The regular UFO is good too; a little lemony but very crisp.